Backed by technologically advanced infrastructure, we are engaged in manufacturing Electrical Load Bank Resistors that are used for various applications in electronic industries. These resistors are fabricated with quality-approved raw material and are manufactured by a team of nimble-fingered professionals making optimum use of high grade tools and updated technology. We provide highly efficient resistors by keeping pace with the advancement in technology. Offered resistors are manufactured in strict adherence with set industry norms and are also available in customized standards. 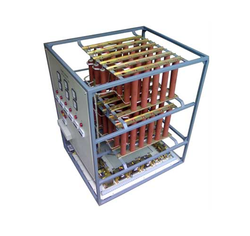 We are offering our clients with Load Bank Resistors that find extensive application in particle accelerators, The unmatched quality and unsurpassable performance has made the Radiator Mount Load Bank Resistors ideal for applications like AC / DC Drive, Traction, Crane, Conveyor, Centrifuges etc. Additionally, customers are eased with the availability of the Load Bank Resistors in varied specifications confirming to international standards. Available with us is a premium quality range of Electrical Load Bank Resistors that are widely used in electronic industries. Our manufactured resistors are highly demanded in world-market for the quality and reliability that we provide to our valued patrons. These resistors are well tested at our end to provide high quality to our customers, simultaneously marinating high standards in the industry. These resistors are manufactured as per the international standards. Custom-made resistors are also available. 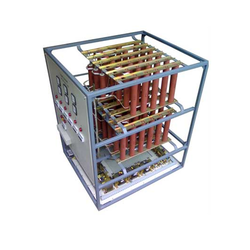 Looking for Electrical Load Bank Resistor ?